The Cold War was such an utterly unique historical period that it’s likely the next hundred years will be filtered through its prism. One has only to witness the Elian Gonzalez farce to realize that for some people, it is forever 1962, and the world is forever divided into twin empires, eternally opposed. The truth, of course, is that there is only one remaining empire, and now is the time for reflection, for a reasoned and lengthy analysis of what the Cold War cost the world, in bodies lost in battle, and in spirits crushed by McCarthyism and Stalinist purges. Frances Stonor Saunders attempts analysis of one facet of America’s Cold War lunacies in The Cultural Cold War. She details the efforts the CIA made through its front group, the Congress for Cultural Freedom, and various shadow-funded foundations, to influence the artistic, literary and philosophical environments of postwar Europe towards the American ideal and away from the beckonings of Communism. In so doing, she manages to make the US government look thoroughly foolish and ham-fisted, and while that may not be any astonishing achievement, it provides entertaining reading. Much of this material, while factually unfamiliar (though the list of folks who took government checks is pretty astonishing: Jackson Pollock, Irving Kristol, Andre Malraux, Reinhold Neibuhr, George Orwell, Bertrand Russell, Stephen Spender, Arthur Schlesinger Jr., and many, many others), is nevertheless ideologically unsurprising, and will dovetail nicely with the previously existing assumptions of the book’s intended audience. Those who reflexively distrust government will find plenty here to confirm their suspicions, and those who continue to place blind faith in their leaders will likely dismiss the book out of hand and unread. It would have been easy to make The Cultural Cold War a broad satiric swipe at the mythical "Ugly American" attempting to foist his jazz and his abstract expressionist painters, and, most importantly, his lofty pronouncements on democracy and capitalism, on the shivering refugees of Europe who, like bums at a Salvation Army soup kitchen, resigned themselves to sitting through the sermon if they wanted the sandwich afterwards. This is why it is to Saunders’s credit that she does not attempt to make light of any of the material she presents. She treats the CIA’s insistence that the work of Jackson Pollock represented some sort of insurgent Americanism that would in some undefinable way trump realism and Stalinism at once with utter deadpan dignity. And she treats the men of the CCF and the CIA, and their various efforts, with respect as well, recognizing that they felt grave import weighing upon their actions, that to them this was no whim, it was the Final Battle, fought day by day, heart and mind by heart and mind. And so, though at the end The Cultural Cold War indicts those it describes, it does so fairly, and does not whitewash the enemy they believed so dangerous then. The effect of the anti-Communist ideology was to spare us the task of taking cognizance of the specific facts of specific situations. Our "faith" liberated us, like the believers of old, from the requirements of empirical thinking…Like medieval theologians, we had a philosophy that explained everything to us in advance, and everything that did not fit could be readily identified as a fraud or a lie or an illusion…The perniciousness of [anti-Communist orthodoxy] arises not from any patent falsehood but from its distortion and simplification of reality, from its universalization and its elevation to the status of a revealed truth. 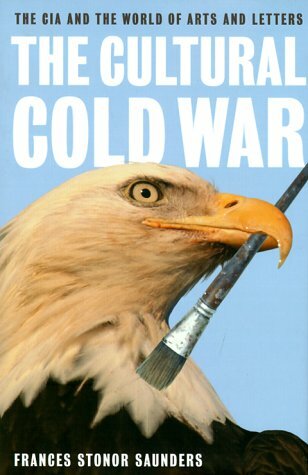 The Cultural Cold War is fascinating because it reveals yet another shadow of the Cold War. It may be all the more captivating for those who did not live through the times it describes. For those (like this reviewer) who are too young to have any but the vaguest idea what the world was like when there really was a worldwide – and on some level viable and threatening – Communism, this book may come as a harsh history lesson indeed.